"We’re making gardening more affordable"
Every garden can attract wildlife no matter what the size. Even if all you have is a balcony or backyard, you can still plant a basket or container with nectar-rich plants or hang up a bird feeder or nest box. 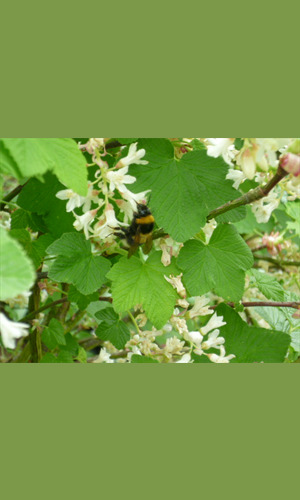 At Donington Nurseries we have a good range of plants and shrubs to attract a diverse range of wildlife to your garden. Some plants, such as Buddleia, will attract butterflies, moths and beneficial insects, which in turn attracts birds and bats which feed on these insects. Buddleia is easy to grow and provides colourful scented blooms for you to enjoy! Planting a Fruit Tree or berry bearing shrub can also attract bees which will pollinate the blossom and birds which will feast on the fruits. We are happy to show you a selection of shrubs and plants suitable for attracting wildlife, and which will suit your garden space. Wild flowers are growing in popularity, and we have a good range available from spring. These again attract bees, butterflies and beneficial insects. You don’t need a large area – plant a few in a pot or basket. If you have the space you can sow wild flower seeds too. Ideally plant a mixture of annual (grows for one year only) and perennial (lives for a number of seasons or years) varieties. Annuals will provide quick cover and blooms, whereas perennials will take longer to fill an area but provide interest for a number of years. 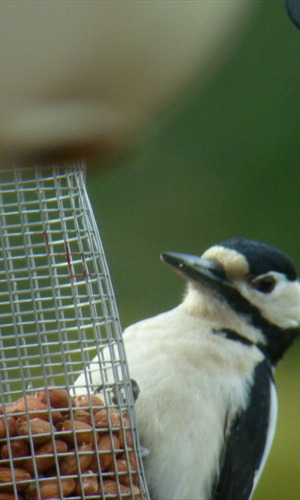 Our Nursery has an extensive selection of Wild Bird seed, Nest boxes, Bird Tables, Birdbaths and Bird feeders. Birdbaths are essential; birds need to drink, and keep their feathers in good condition by regular bathing. All feeders and birdbaths need cleaning frequently to avoid the build-up of disease to birds, always wear gloves when carrying this out and use hot soapy water, then rinse well. Do not use chemical cleaners. We also have Bat boxes, Squirrel feeders and Bug boxes. Nest boxes will attract nesting birds and also provide a warm winter roosting site. Logs are also stocked and these are great piled up in a shady area of the garden as they encourage a diverse range of beetles and insects which in turn provide food for birds, frogs and hedgehogs. Bees are said to be declining according to researchers. They play an important part in the eco-system, pollinating food crops and other plants. We have a dedicated area for ‘Bee Friendly’ plants at Donington Nurseries, so we can all do our bit to help these important insects. Don’t forget that some pesticides can be harmful to Bees, so by encouraging beneficial insects, frogs, hedgehogs and birds into your garden many pests can be controlled naturally. Rebecca, the proprietor, is passionate about wildlife and nature and will be happy to assist on your visit to Donington Nurseries.